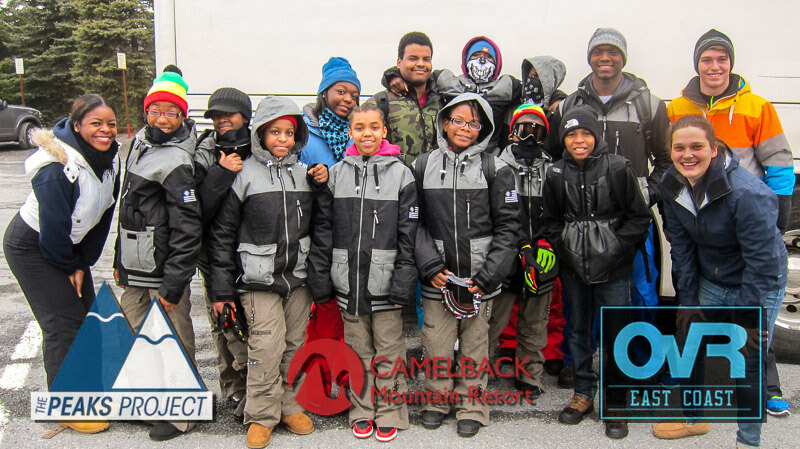 OvR just received an update from The Peaks Project regarding their Sunday Benefit Camelback trips, and boy are we excited to share this information with you. It turns out not only will guests be helping OvR donate a portion of the trip’s proceeds to The Peaks Project, the organization is partnering each Sunday trip with one of their sponsors which will allow them to give product away as well as raffle off large ticket items. So jump on one of the coolest trips OvR is hosting right now and get a chance to win some free product as well as help out an amazing organization, The Peaks Project. This entry was posted in News, Trips and tagged C4 Belts, DPS Skis, East Coast Wax., Faction Skis, Gnu, Launch Snowboards, Orion Packs, Shred Ready, Volkl. Bookmark the permalink.